DONETSK, August 01. /ITAR-TASS/. Ukrainian troops have suffered a crushing defeat near the southeast Ukrainian town of Shaktyork over the past 24 hours, the press service of the self-proclaimed Donetsk People’s Republic reported on Friday. “The militias have practically destroyed the 25th Ukrainian aero-mobile division and 30 armored vehicles. They have also seized 2 infantry combat vehicles from the enemy who suffered significant losses in manpower,” the press service said. Several captured Ukrainian soldiers told the militias that the Kiev authorities had cheated them into joining the army and sent them to die on the eastern front under a threat of bodily harm. 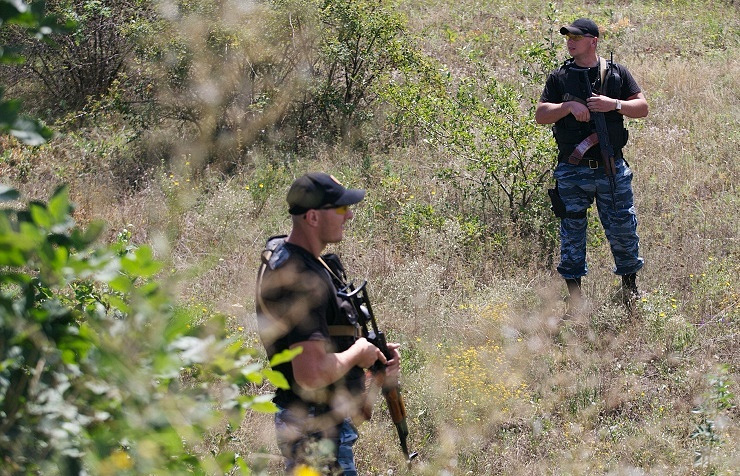 The militias, in turn, noticed that the Ukrainian army was exhausted and was running out of steam. “Modern tanks which appeared on the battlefield in the first days of the war have given way to old combat vehicles which have either been in long storage or have been received from the armies of foreign countries such as Poland,” the militias said. The militia fighters repelled a Ukrainian tank attack against the Yasinovataya populated locality last night. The situation remained stable on all the fronts on August 1 with the militias having an advantage. The Ukrainian army is retreating from Shakhtyorsk, Torez and Zugres in the south with colossal losses.